But. Rain does not have to ruin your vacation. Really. One thing you can do is bring ponchos with you. You can put them on and then just keep going. We have a huge stash of ponchos that we have been using for years. We stocked up one year for just in case. We had two for everyone for each day of our trip. And then. Well. It never once rained. So, we have a lot. And we keep using them. I've learned a lot from our stash. We were in line to ride Rock and Roller Coaster this summer and the cast member told us that we had to take off our ponchos because someone wore one on the coaster once and hid the fact that they were wearing a baby on their chest!! So. Yes. Lots of on and off. Which kind to get? You can purchase them at Disney - and the Disney ones will last. But we like to save a little money - and bring our own. You can still get Coleman at Target or Walmart. But instead of the 99cent variety, get the $4.99 kind. These are much more durable. Easily reusable. For the kids sizes (and my size 14/16 girls daughter fit in them perfectly) they actually snap up like a regular rain coat. For adults, they are styled more like a poncho - but there is a tie at the neck and hood that will prevent the hood from flying off of your head in the slightest breeze (a true issue with the dollar variety). 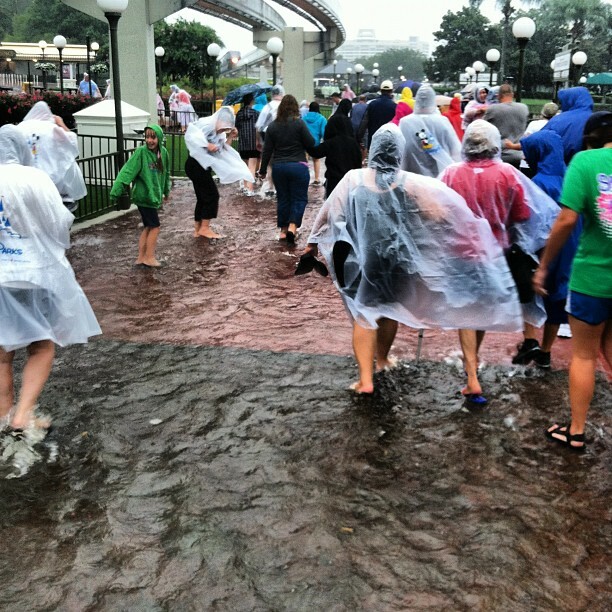 Now that you have your ponchos - you are ready to conquer the parks. But which park is best in the rain? I actually think they all have pros and cons. Epcot is great - especially in future world. There is so much to do indoors - that you might not ever notice it rained. However, the world showcase is a different story. We got caught in a storm in Japan. Though shopping at Mitsukoshi was a lovely distraction - my wallet could only take so much before we needed to move on. And it can be a long way between countries and dry spots. I did manage to see some kids from our local middle school that were visiting the world on a band trip. And well. They just decided to enjoy the rain. Magic Kingdom is great - especially in Fantasy Land. 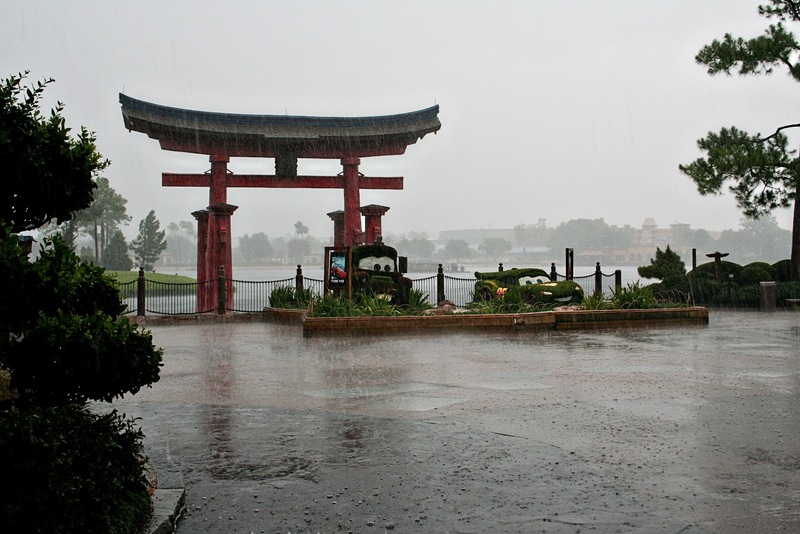 Most of the rides in the Magic Kingdom are indoors - you'll just have to dodge rain drops between the rides. Hollywood Studios is also great. It's a compact park so going from attraction to attraction is not too far. Our issue with Hollywood Studios was that we were there on Star Wars Weekend. And because of the rain, the parade and show at the end of the day were canceled. On the other hand, characters that meet outside - like Phineas and Ferb - they will move to indoor locations. Your background may not be exciting - but you might get to make a big jump with your favorites! 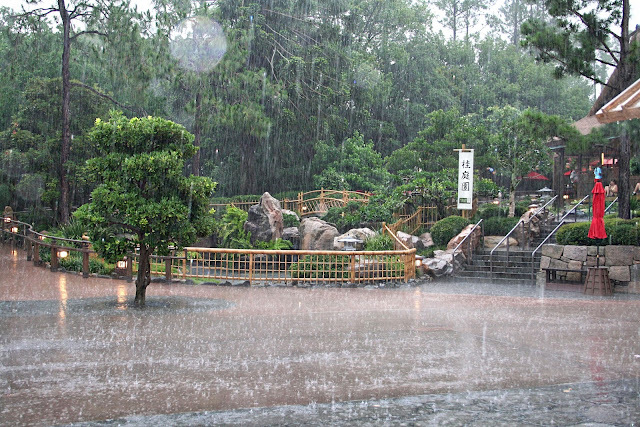 Animal Kingdom - I think I would skip in the rain. The safari is absolutely amazing in the rain. The animals all seem to revel in the wet stuff. But. There is so much that is outside here - with long distances between - I think I'd give this one a pass. What if it's more than a thunder storm? What about hurricanes? Typically, Orlando is not going to shut down due to hurricanes as it's rather inland. I have heard of them shutting down for a half a day for safety reasons. Issues guests usually deal with in regard to hurricanes are flight delays - either in arriving or getting out. When I visited last August - when Hurricane Irene suddenly changed course and headed to New York - there were LOTS of families stranded at Disney. I think that's a problem I wouldn't mind. For more Disney pictures, be sure to check out Deb's page - Focused on the Magic! So...what about you? Which is your favorite park to go to in the rain? Thanks for sharing your rainy day tips and for joining in on the Disney Wordless Wednesday Blog Hop fun today! We just go right through it, rain = short lines :) Thanks for sharing!! When my daughter was just a baby (under 1 or 2), we headed back to the resort when it would rain more than just a sprinkle. Now we just head for the nearest shop or grab a bite to eat and wait it out. We always seem to get stuck in the rain! 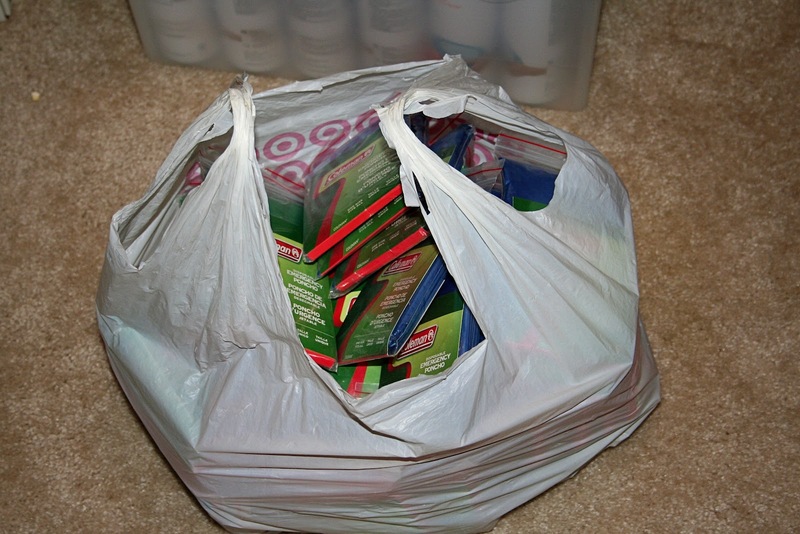 I have a bag full of ponchos too but those cheap ones don't hold up. I LOVE the jumping one at the end. You're not a true WDW fan unless you've been "swimming" in the "lagoon" outside Monsters, Inc. Laugh Floor! You have the perfect frame of mind, and yes, it pays to be armed for the worst. Great piece! 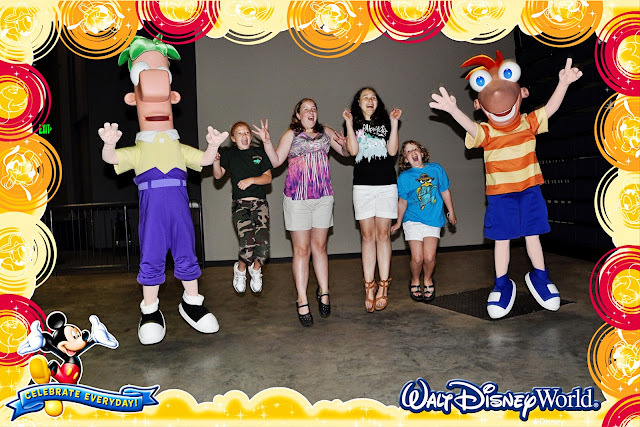 Love, love, love the Phineas and Ferb photo! 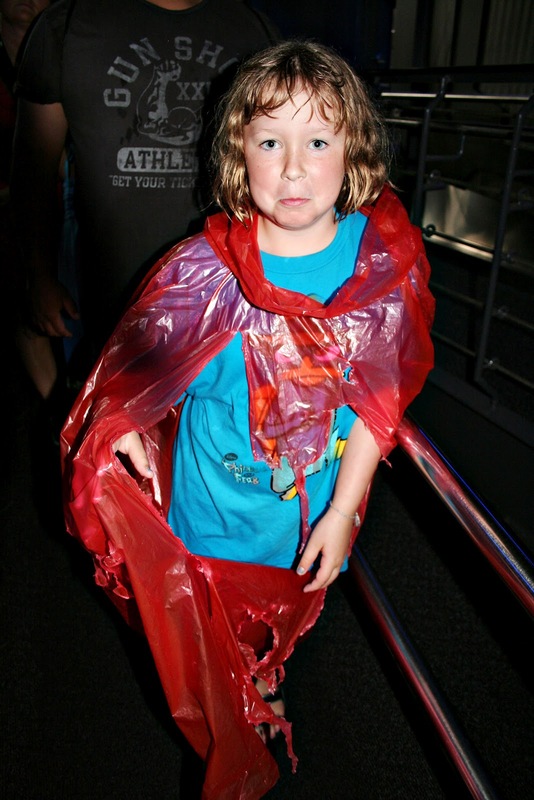 Ugh, Disney in the rain is always a challenge. One February my husband had downpours and cold temperatures while I was in a conference. We bought the $5-8 ponchos for our last trips and have not used them yet. D is for downpour and drenched. It's just not a trip to WDW without a little rain. Thanks for sharing! We did Disneyland and California Adventure in three days of steady rain. There were no locals there and few of anyone else either. We rode everything over and over without any waits. One of the best trips we've had. We didn't bring ponchos as it's supposed to be "Sunny California" so we bought the Disney ponchos for touring. We learned our first day that you can get replacement ponchos free of charge if they get damaged. Our daughter had to get a new one each day though the adults ones held up fine. As for Walt Disney World, we did MK in sporadic showers and some of the crowd dispersed but a lot of people stuck around. We did do AK in a steady rain and had a great time with low crowds. We didn't mind getting a little bit more wet on Kahli. The Safari was the best we've ever had as the male lion was up on "Pride Rock" for all to see. Everest didn't shut down so we walked right on multiple times and saw Nemo and the Lion King. In all, we had a great day! Awww... I loved these rainy pictures. I can see how it could damper a Disney trip a bit, especially if you don't get to go often and got dealt crappy weather the whole time. But it still looks appealing to me! I'm weird like that. 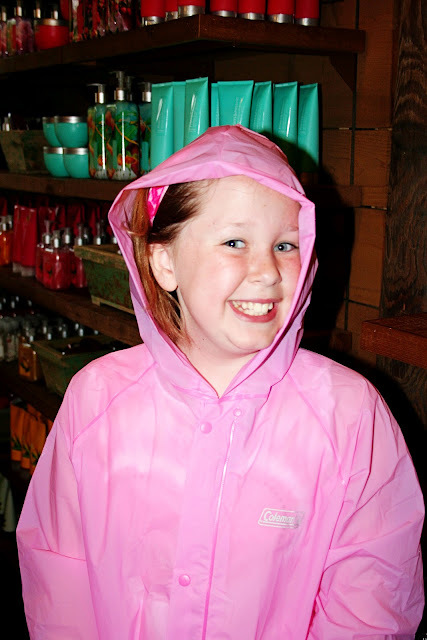 Who knew rain would make such an interesting post and visits to the Disney parks? Thank you for all the wonderful tips. I'm glad your family made the most out of these rainy days. Love the Phineas & Ferb shot! Okay, I couldn't read past the part where someone had a baby on the Rockin' Rollercoaster! Holy crap! That's awful. 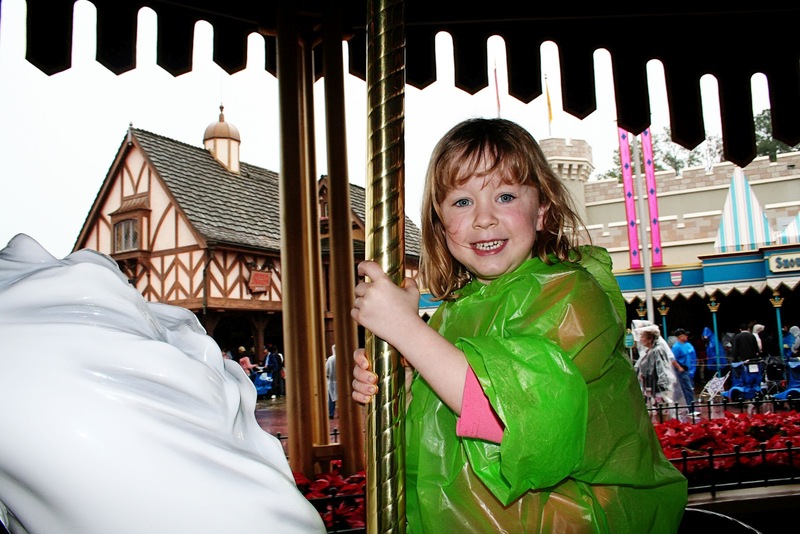 And, after a few trips to Disney, we've learned the value of rain ponchos also. You don't want to get stuck buying Disney's ponchos. They are expensive! 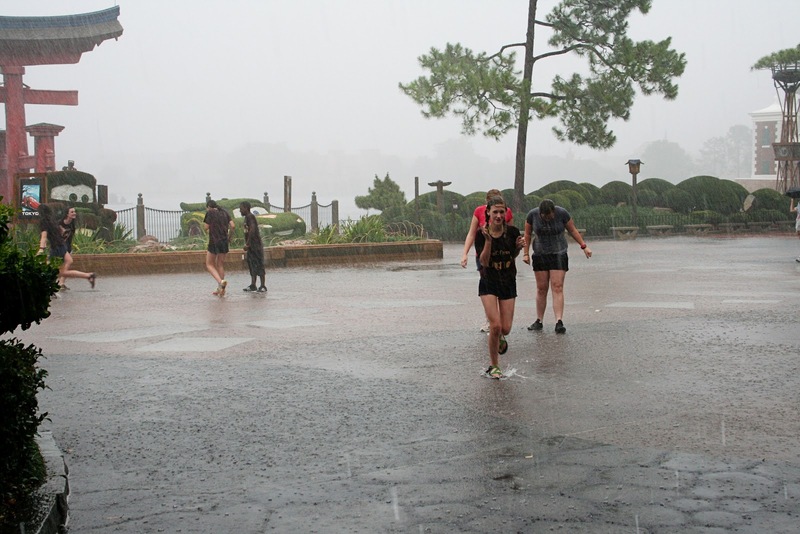 Great pics, I don't think I've ever seen so much rain at Disney! I have been caught in a rain shower or two, but nothing like this...wow! We were there when the rain was nuts one day. We bought ponchos at Disney! I have no clue where they are now though so we'll probably have to buy some more. Lots of great tips! We've done Disney in the rain - Disneyland in 1995 when it rained so much we thought California would slide into the ocean - nobody else at the parks (almost) and 2-1/2 year old Greg got 10 minutes alone with Mickey Mouse! Then this past spring break when there was a tornado warning - stuck in the Norway bakery with rain coming sideways - still found fun things to do while others were huddling just trying to keep dry.